7pm-10pm. 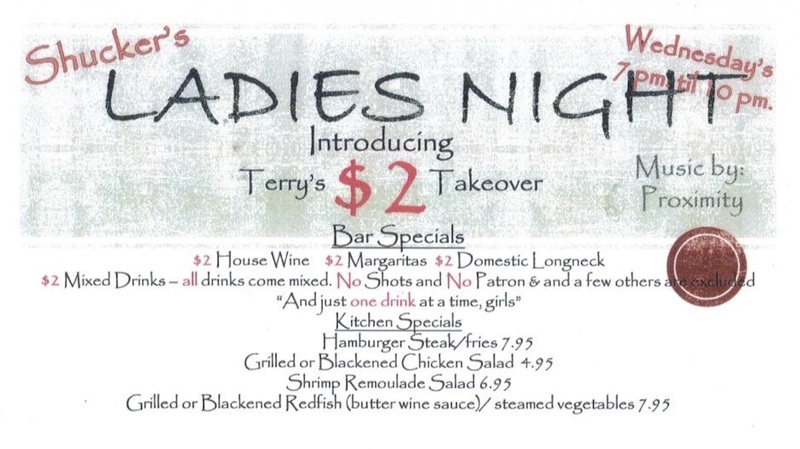 Terry's $2 Takeover! Music by Proximity. "Just one drink at a time, girls!" Check out Shuckers on Instagram! Every weekend join us for great seafood, live music, cold drinks and great friends "On the Deck" at Shuckers. See the Full Events Schedule. 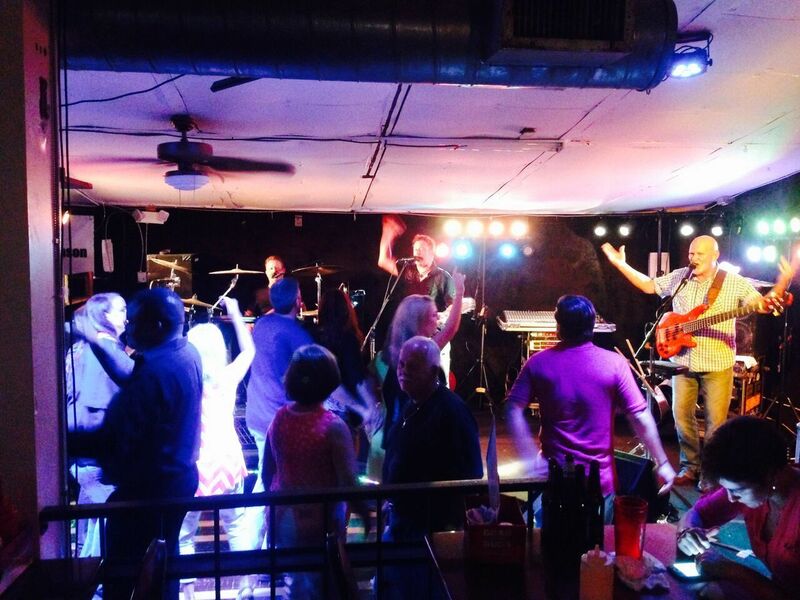 Pool tables, cold drinks, flat screen TVs and live music! College and Pro Sports are On!